Brandishing their rifles, hundreds of US worshippers pack a Unification church to celebrate their weapons as “rods of iron” that could have saved lives in the recent Florida school shooting. Facts show that Mohammed Tamimi was shot in the head by Israeli soldiers. But the facts were not enough for the Israeli army, or the journalists who tow the government line. No students were reported injured by gunfire. It appears the teacher, who was alone in the room, shot through a window, the authorities said. He was arrested. The US Immigration and Customs Enforcement (Ice) chief, Thomas Homan, speaking to Fox and Friends on Wednesday, said that the warning from the mayor, Libby Schaaf, helped about 800 people avoid arrest. He also said the justice department was looking into whether Schaaf obstructed justice. “This used to be a cloud forest, a rainforest 60 years ago. Now the soil looks like this. From a productive point of view, this has practically died,” Vàsquez, who is taking part in several initiatives aimed at restoring the soil in the Barranca River-Jesús María River basin, where land degradation is already impacting farmers, told IPS. His concern is not about something that is a minor issue in Central America. The United Nations Convention to Combat Desertification (UNCCD) estimated in its Global Land Outlook (GLO) report, published in 2017, that degraded lands account for over a fifth of forest and agricultural lands in Latin America and the Caribbean. According to the Costa Rican Advisory Commission on Land Degradation (Cadeti), established by the government, and in which Vásquez takes part, degradation is already happening in more than a tenth of the territory of Costa Rica, making it more necessary than ever to meet the goal of achieving Land Degradation Neutrality (LDN) by 2030. Costa Rica is one of the countries in the region that devotes the greatest effort to meeting that goal. There is a need for more indicators and budget, but those dedicated to the matter, such as Vásquez, are already working on several initiatives to prevent the loss of more land. “Here we lament it when a tropical forest is cut down, we know that’ a terrible thing. But a tropical forest can regenerate in 60, 80 years. When you lose the soil, recovering it can sometimes take up to 200 years,” Óscar Lucke, a consultant on land degradation neutrality and a retired professor who is a representative of civil society in Cadeti, told IPS. “We are working to protect that wealth of biodiversity and all the services we need that are in the soil,” he explained. It was not until 2015 that the UNCCD agreed to set national goals to stabilise the planet’s soils. But in Costa Rica Cadeti was already working on the issue since 1998, through coordinated work among different government and academic bodies. For this reason, this Central American country of 4.9 million people became one of the 10 pilot sites in the world to implement LDN, and the only one in Latin America. In April 2017, the government reinforced the strategy with a decree that coordinates the different agencies involved in that objective and, in addition, designated Cadeti as the body within the Ministry of Environment and Energy to advise all public institutions in how to move towards that goal. Several indicators are used to measure neutrality in land use. According to the 2017 Scientific Conceptual Framework for LDN, countries must observe the evolution of three key elements: forest cover, productivity and soil organic carbon. So far, Costa Rica only has information on the first indicator, and is working to obtain the others this year, with important progress made so far. In fact, between 2000 and 2015, Costa Rica went from 47 percent to 54 percent of forest cover, while all other Central American countries have proportionally cut their forest covers, according to a study released in December by the State of the Nation of Costa Rica, an interdisciplinary body of experts. The first State of the Environment Report, published Feb. 20, prepared by the Costa Rican government, notes that the country increased its forest area by 112,000 hectares between 2010 and 2013 (currently it has more than three million hectares of forest), an increase of almost the same amount as the reduction in crops and pastureland, which amounted to 114,000 hectares. “That is very positive. In general, the more covered the soil is, the better, but protection guidelines have to be implemented in the areas that clearly cannot be covered with trees, because crops have to be planted to grow food,” said Carlos Henríquez, director of the University of Costa Rica’s Agricultural Research Centre, and an expert in soil fertility. He told IPS it is necessary to implement protection practices to try to maintain the resource in a sustainable way, because the increase in forest cover does not mean that farmers always use their land well. For example, the cultivation of pineapple (questioned because of its link with soil erosion and the high use of agrochemicals) has increased fivefold since 2000, according to the annual report of the State of the Nation. For that reason, the government is working on generating carbon maps and productivity maps to identify the most degraded areas of the country. According to forest engineer Adriana Aguilar, the national focal point for the UNCCD, and an official in the National System of Conservation Areas, an agreement is also being hammered out between the government and the German Technical Cooperation Agency (GIZ), aimed at identifying key actors and model projects, and capturing resources for them. “That is a goal for this year, so that from 2019 we can report on that basis. By defining these indicators, applying the panel, finishing our action plan and implementing this decree, we are moving towards achieving that goal,” she told IPS. There are already several initiatives to work with farmers in the areas that, according to estimates, could have the most degraded soils in the country. “Degrading the land is very easy. To recover them is the difficult thing. 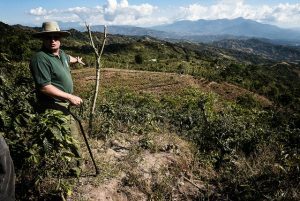 Farmers do not have resources for this and there are crops, such as coffee, that already have very low productivity,” said Renato Jiménez, another member of Cadeti, which for the past six years has carried out more than a hundred projects on farms in the most degraded areas of the country. For example, in the Barranca-Jesús María river basin, farmers and experts from the government and civil society have created channels and terraces to prevent water from washing away their crops and nutrients, and have extracted healthy bacteria from the forest to use in their plants. For Vásquez, who operates in the area, that is key because with climate change the rains in Costa Rica seem to be increasing in intensity and decreasing in frequency. “The idea is for river flows to not build up so much speed or destroy the soil so much. I believe that if people see the positive results, and notice that coffee production is increasing, other neighbours will copy it, because production here has been dropping,” he said. The post Costa Rica Studies Its Land, to Keep from Losing It appeared first on Inter Press Service. You probably haven’t heard of James Kolenich. You will. Kolenich also called into question the estimated number of six million Jewish people killed during the Holocaust, and even if it actually happened. Kolenich said the Holocaust gets too much attention. The US president’s son-in-law is one of several White House staff to lose access to top secret intelligence briefings. 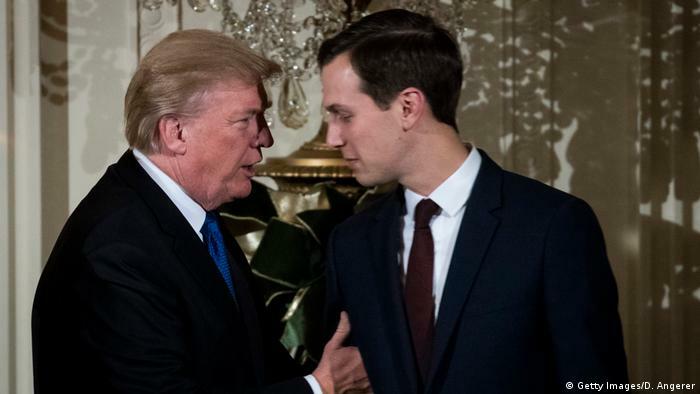 Kushner has seen his adviser role weakened since Donald Trump made John Kelly his chief of staff. Union leaders said they accepted the governor’s promise of pay raises and a task force to tackle high insurance costs. Schools are set to reopen Thursday. Traitors and dupes in charge of Florida government? Florida lawmakers are considering funding a voluntary program that would allow school staff, including teachers, to carry concealed weapons on campus.